The newest member of the Club des Chefs, Michel Roux. 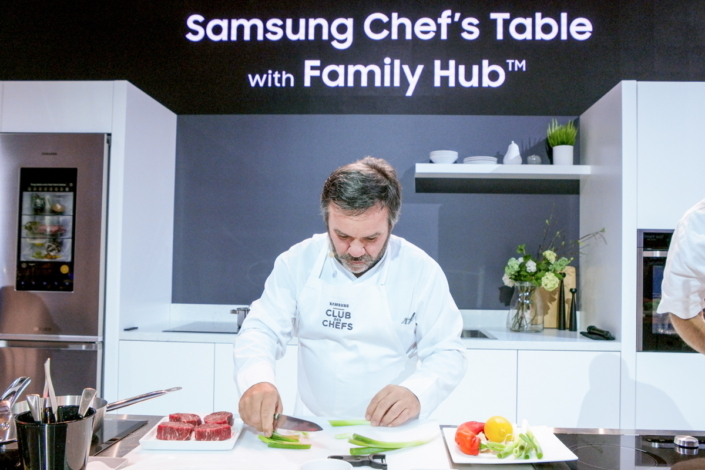 Samsung’s “Chef’s Table with Family Hub” event invited IFA 2016 attendees to enjoy a world-class lunch, courtesy of the Samsung and the new Family Hub refrigerator. 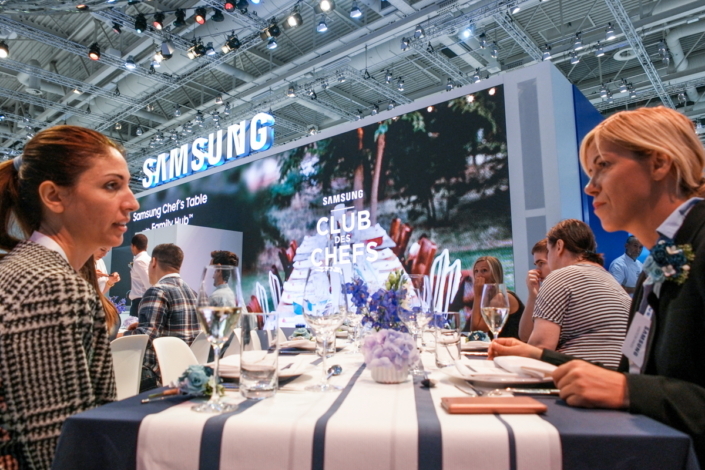 The gastronomic event transformed the heart of Samsung’s expansive booth into an intimate kitchen where three of the Club’s Michelin-starred members whipped up top-notch cuisine and demonstrated how, with the Family Hub refrigerator, you can too. 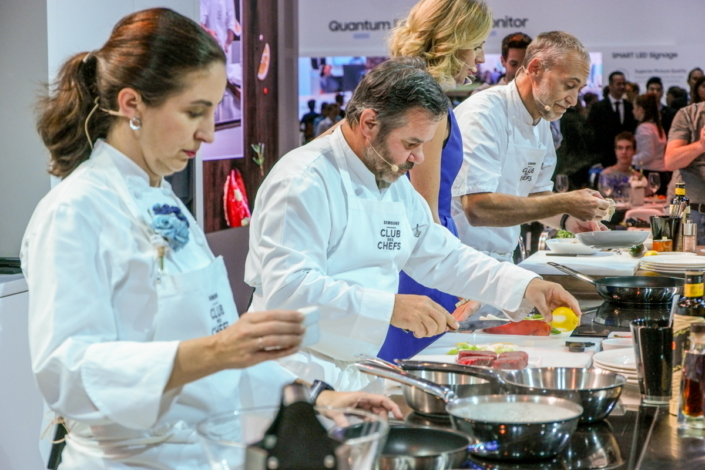 Launched in 2013, the Club des Chefs invites culinary masters from around the world to share their cooking expertise and contribute to the designs of innovative appliances like the touchscreen refrigerator. Over the course of the September 2 showcase, guests were shown how Family Hub’s intuitive interface and comprehensive suite of apps are redesigning the kitchen experience by reimagining the role of the our most important appliance. 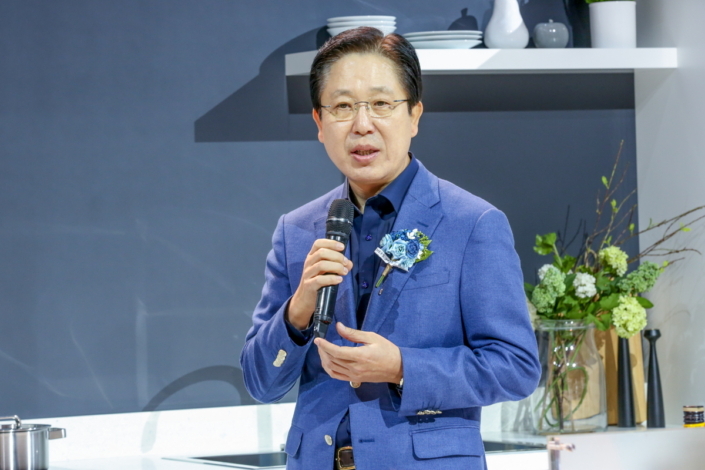 Guests to the cooking show were greeted by their host, Byungsam Suh, Samsung Electronics Head of Digital Appliances Business. Mr. Suh began by spotlighting Family Hub’s unique ability to streamline food management, kitchen entertainment and family communication, before yielding the stage to the culinary masters. After their introductions, Chefs Michel Troisgros, Elena Arzak and Michel Roux set to work. As they waited, guests were given an overview of some of Family Hub’s key functions, including inner-view cameras, digital food labeling, music playback, TV mirroring, photo and memo collaboration and recipe apps. 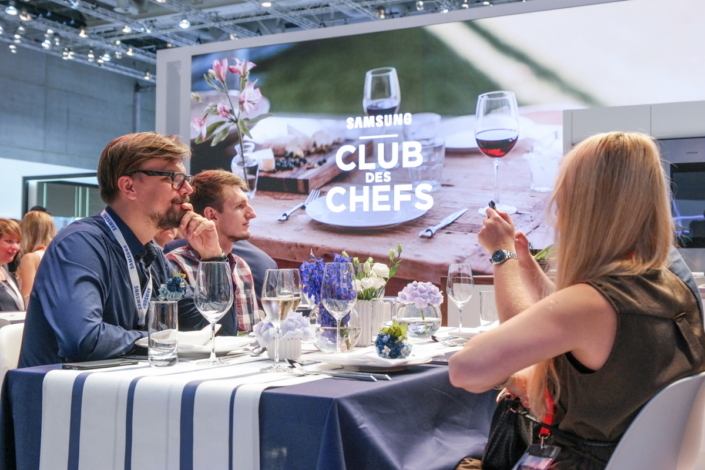 One of most exciting features was the new Club des Chefs app, which offers cooking insight, recipes and hands-on appliance demos straight from the chefs. Helping people feel more at home in their kitchen, and providing them with the tools to prepare delicious meals together. 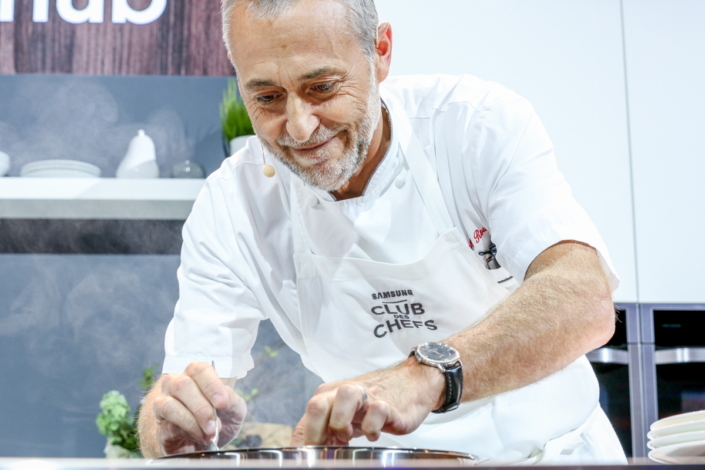 The Club des Chefs’ newest member, Chef Michel Roux, found that aspect of the Family Hub particularly appealing. “Family dining is so important,” said Roux. “To put aside some time to be with your family, to cook and to eat together. Each chef’s recipe—Chef Roux’s grilled tiger prawn appetizer, Chef Troisgros’ bifteck with spices main course and Chef Arzak’s chocolate with crispy milk dessert—is part of the Club des Chefs app. And, as Chef Roux pointed out, it’s an ever-expanding selection. Check out the highlights of the exhibition below! 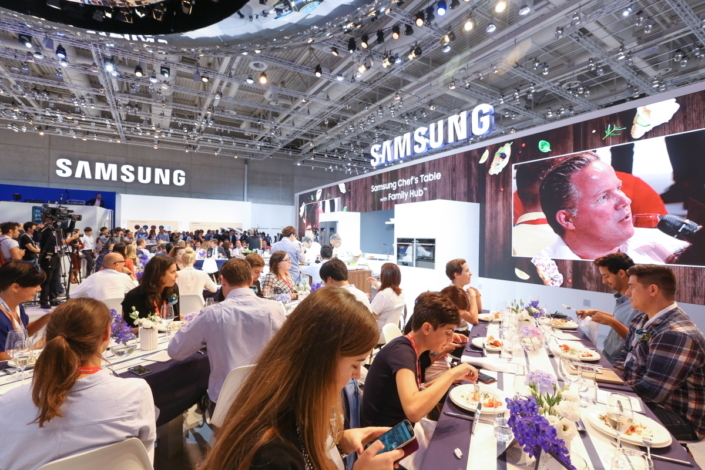 Samsung’s “Chef’s Table with Family Hub” welcomed approximately 70 lucky guests for a delicious lunchtime show. 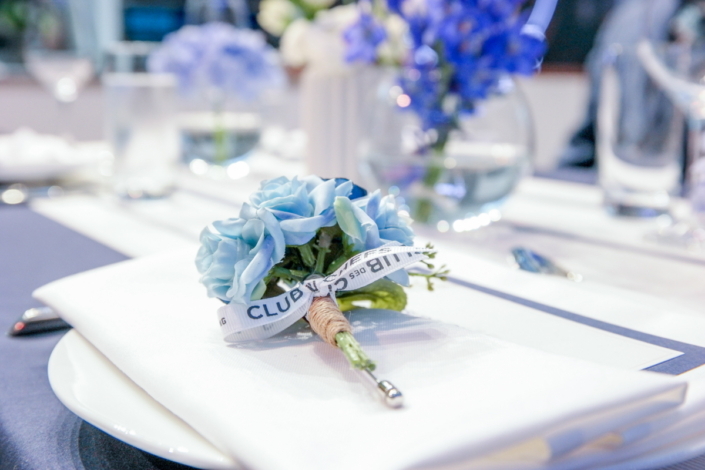 Guests were given blue boutonnieres and bracelets to wear during the party. Like most of the décor, they were signature Samsung blue. Samsung Electronics’ Head of Digital Appliances Business, Byungsam Suh, greets guests to the event, highlighting Family Hub’s unique ability to streamline food management, kitchen entertainment and family communication. Michel Troisgros, President of the Club des Chefs. 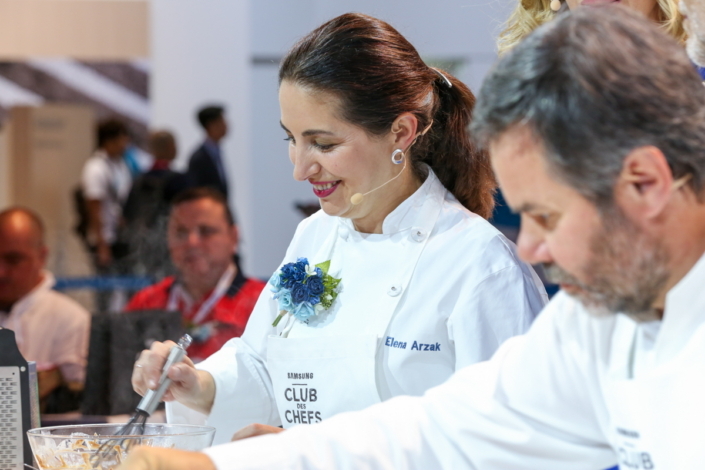 Three-star Michelin chef Elena Arzak. Chefs Michel Troisgros, Michel Roux and Elena Arzak prepare their world-class cuisine. Guests take in the gastronomic show. 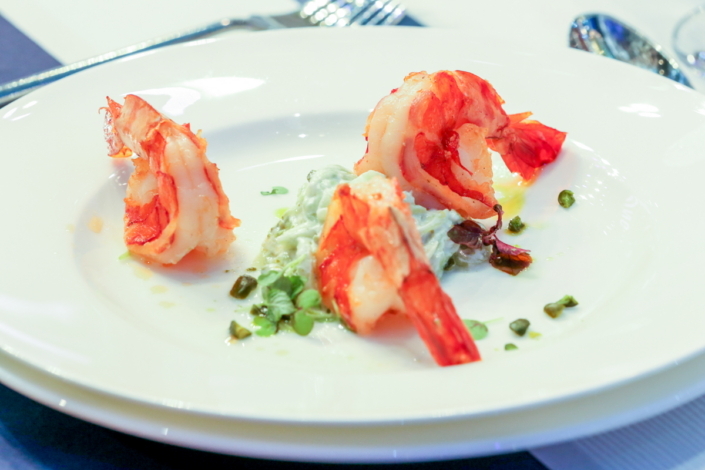 The appetizer was grilled tiger prawns with cucumber salad and pistachio yogurt dressing—available on the Club des Chefs app, courtesy of Chef Michel Roux. Guests eagerly await their meal.